Only a handful of names are synonymous with the true sound of progressive house; Sasha, John Digweed, Nick Warren, Hernan Catteneo, Sander Kleinenberg and… one of our favourite production teams, Gabriel & Dresden. 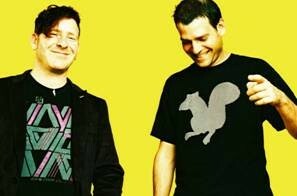 Each one fills a space in dance music history as the true sound of the progressive genre and in the case of Gabriel & Dresden, it’s hard to find an argument in any claim that the duo should be standing tall in the Progressive DJ Hall of Fame. With the electronic dance music scene continuing to take over the world, it’s no surprise that the American DJ/producer duo are flying the progressive house flag with a track that defines the genre as it is meant to be heard. 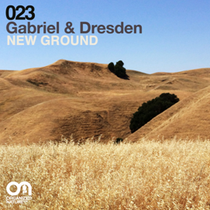 ‘New Ground’ is Gabriel & Dresden’s follow up to ‘Rise Up,’ and, from its offset, brings an authenticity to the true progressive house sound that many thought was left behind in the ‘good old days of dance music’. Whether it’s heard in a dark, sweaty underground club, or on the main stage at one of the world’s leading festivals, ‘New Ground’ may well be the track that brings progressive house back to the forefront.